Commercial vacuum repair in Derbyshire is just one of a host of services we offer here at Britclean. It can be hard to predict the lifespan of cleaning machines, which is where our expert team of mechanics can provide the highest standards of maintenance to get your commercial vacuums up and running again if a break down occurs. We provide repair services to some of the most well-known commercial vacuum brands including Nilfisk, Numatic and Karcher and with over 25 years of experience, we will make sure your vacuum is repaired in double quick time. Plus, if we can’t fix the problem right there and then, we will provide you with an alternative commercial vacuum while we repair yours, so your operations aren’t disrupted. The importance of training in any industry cannot be overstated, which is why Britclean is committed to giving our staff the latest knowledge and insights. As a result, we then pass this information onto our customers to give you the best possible service. The world of commercial vacuums is evolving all the time, so with the very best training, our mechanics will be able to spot and fix problems very quickly. Britclean is also an accredited by the British Standards Institution, meaning we comply with industry standards and are always the first to know about new standards and qualifications to keep us as one of the leading cleaning equipment providers for Derbyshire and the surrounding areas. Britclean has been providing services such as commercial vacuum repair in Derbyshire for over two decades; we hope your commercial vacuum continues to work fine but we will always be around to help if that changes. Contact our friendly team with your requirements today and we will get you cleaning again in no time. Britclean also provides commercial vacuum repairs to areas such as Staffordshire, Shropshire and Cheshire plus repairs for commercial and industrial pressure washers. This entry was posted in Britclean UK on February 25, 2019 by admin. Pressure washers are a pivotal piece of equipment for keeping your home, business or industrial property clean and safe. They are ideally suited to the removal of stubborn unwanted stains, perfect for washing the car or variety of other household cleaning tasks from guttering to decking, patios and more. Pressure washers are also an essential piece of kit for part of your job, and a good pressure washer is a makes those jobs much easier. Pressure washers deliver a vast range of benefits and possibilities, combine that with the range of services Britclean supplies to its customers. Then you have the complete pressure washer package – and you have everything you need to get the job done. Britclean customers have access to a range of services which include hire, sales, servicing, training, repair and maintenance. Hire: If you need a pressure washer for a long- or short-term contract but haven’t got the space to purchase one out right then hire a washer direct from Britclean. Our contracts are flexible and can be as long or short as your project needs them to be. Servicing: If your machine isn’t quite working in full order then why not let our team take a look and see if there is any servicing that can be done. Training: If you’re new to pressure washers, our team of engineers can provide training for all of our stocklist to ensure you walk away satisfied and knowledgeable about how to use your machine to the best of its abilities. Repairs: Over the many years Britclean has been collecting parts from pressure washer machines that are no longer in circulation. As a result, we have a workshop full of parts. So, in the event, a discontinued machine arrives at our door, we have the parts to fix it. Britclean is the leading suppliers of pressure washers in the Midlands. Our areas include Staffordshire, Derbyshire, Shropshire and Cheshire. The team at Britclean are happy to deliver advice about any of our machines and matching detergent to get the job done hassle free. Traditionally there are two different styles of a pressure washer. Each with its own specific benefits over the other. At Britclean we provide both hot and cold-water pressure washers both of which are perfectly suited to cleaning jobs. Cold water washers are ideal for a variety of household and commercial and residential cleaning jobs. Whereas hot water washers pack an extra energetic wash that causes a reduction in surface tension of those tough stains. Whatever jobs are presented in front of our pressure washers, they’ll overcome the task with ease. Stocking some of the world’s leading manufacturers and innovators, many of which will allow you to set the intensity of the water pressure. And that extends to the choice of both hot and cold-water washers to tackle even the toughest cleaning jobs as we have mentioned above. 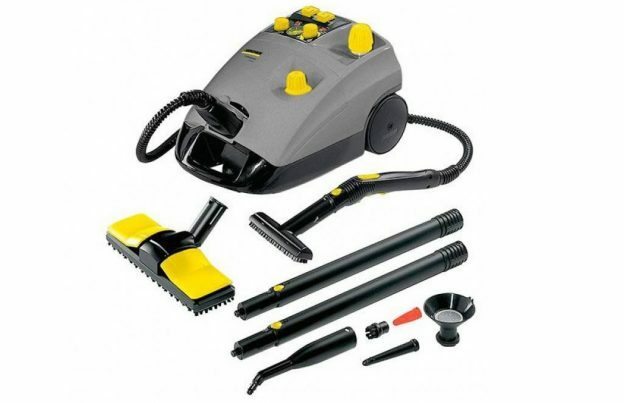 Karcher: Karcher has been at the heart of cleaning innovation since 1935. Always using design, creativity and ingenuity as a solution to technical problems. See our range of Karcher washers here. Nilfisk: One of the global market leaders for professional cleaning. Nilfisk has been manufacturing high-quality cleaning equipment for over a hundred years. Shop Nilfisk at Britclean here. Ehrle: New development of products and improvements to what is already out there, Ehrle is an innovative cleaning solution provider. Delivering the very best in innovation. Browse the Ehrle range here. We’ve been in the industry of pressure washer supplying for over 25 years and have seen and done it all. If there is anything further, you’d like to know about the services we provide then do not hesitate to get in touch. We work across the Staffordshire, Derbyshire and Cheshire area for a variety of domestic and commercial sizes. And in addition to pressure washers, Britclean also provides a selection of floor cleaning equipment such as vacuums and detergents. 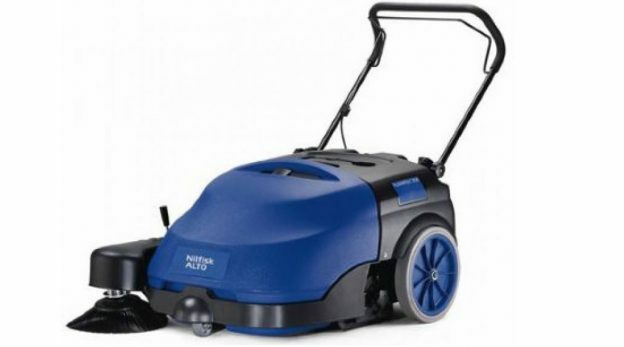 This entry was posted in Britclean UK and tagged Pressure Washer, Pressure Washer Hire, Pressure Washer Repairs, Pressure Washer Sales, Pressure Washers on February 22, 2019 by admin. Industrial vacuums in Stoke on Trent from Britclean, can be used in wide range of industries that need large areas of cleaning. An industrial vacuum in Stoke, is a real time saver as one cleaner can cover more space in a shorter time compared to traditional methods of cleaning. Keeping the workplace free of dust, dirt, mites or any other allergens. Remember an unclean or contaminated area can lead to rise in diseases and health issues for your staff. Britclean give you the option to hire or purchase an industrial vacuum, so if you only need to use one occasionally or as part of your everyday routine. Britclean has the solution for you. Many industries such as food processing and pharmaceuticals, have housekeeping as a regulatory requirement. Not complying with these regulations could lead to your business being handed hefty fines. But this can all be taken care of with one of our industrial vacuums. Here at Britclean, we use some of the leading manufacturers of industrial vacuums in Stoke, including Karcher, Nilsfisk and Numatic – with many diverse options available including regular dry vacuums to wet and sit on vacuums the cleaning possibilities are endless and the choice is yours! Britclean have been providing the best variety and quality collection of industrial vacuums in Stoke, for hire and to buy for the past 25 years and counting. If you’d like to know more about our range on industrial vacuums, please contact us today and speak to one of our friendly team. Alternatively you can also pay our public showroom in Stoke a visit and see our range for yourself. Don’t forget we also provide commercial vacuum repair, industrial pressure washers to areas close to Stoke on Trent, such as other parts of Staffordshire, Cheshire, Derbyshire and Shropshire. This entry was posted in Britclean UK and tagged Industrial Vacuum Repair Stoke on February 18, 2019 by admin.